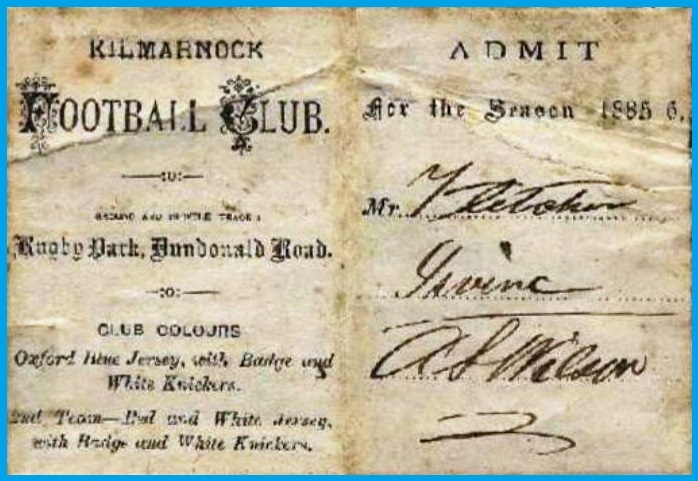 Kilmarnock Football Club early roots can be traced back to 1869 when young cricketers who played on Barbados Green (now the Howard Park) decided that they needed something to occupy their time during the winter months when cricket was not an option. 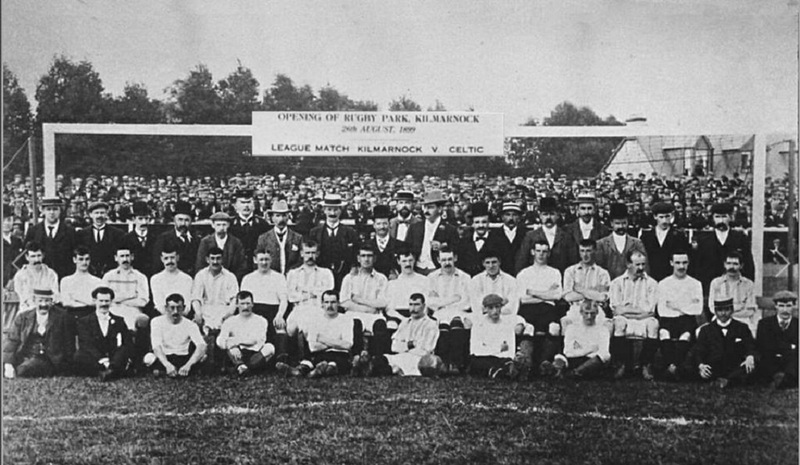 This is when the first club meeting took place and the club founded. 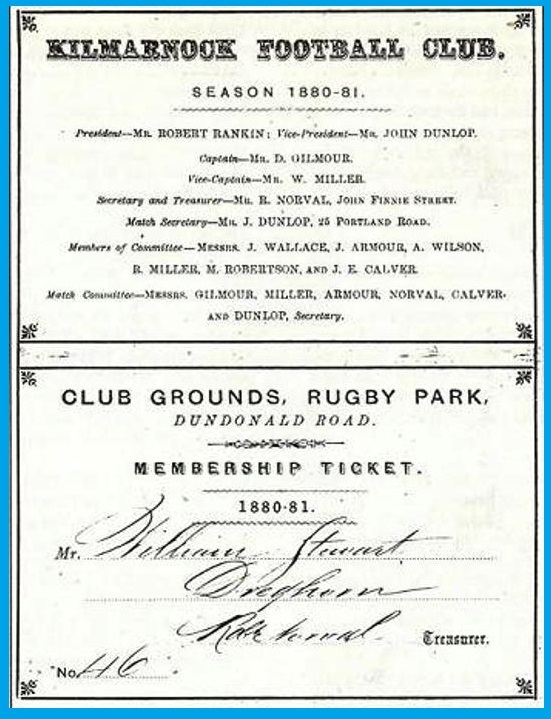 At that time Killie found themselves playing a form of primitive football-rugby at their first ground, near South Hamilton Street. 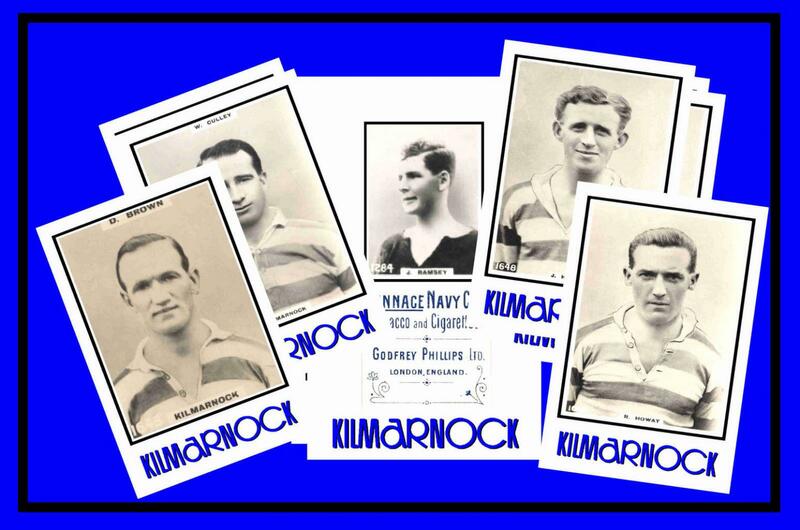 This sport was by no means anything like the football that we know and love now, it was more like a type of Rugby; hence their ground was named Rugby Park. 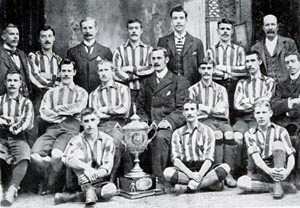 Four years later, in 1873, the Scottish Football Association formed and a competitive league and Scottish cup commenced (which Killie donated 1 pound towards the purchase of the trophy). 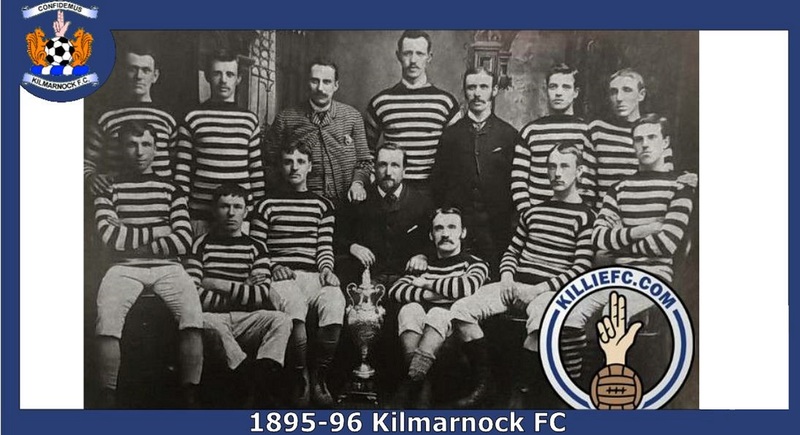 1873 Killie adopt blue as their colour. 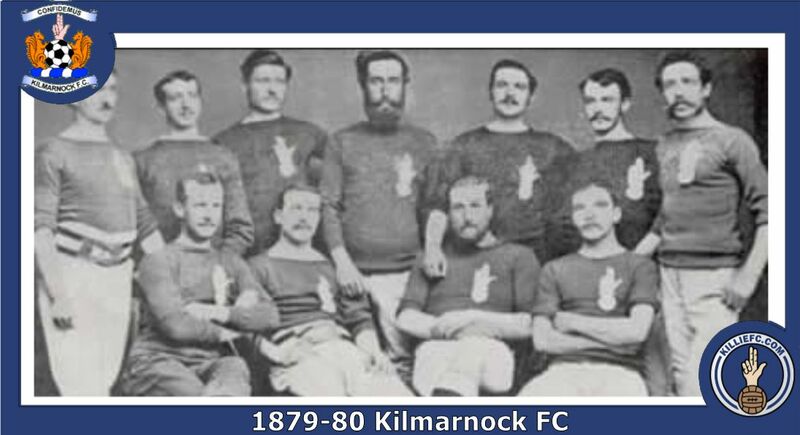 1895 Killie voted into the Scottish League. 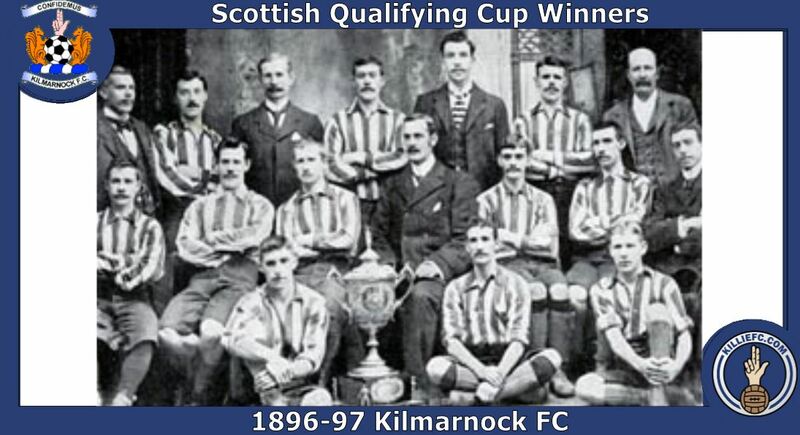 1896 Killie win the Scottish Qualifying Cup. 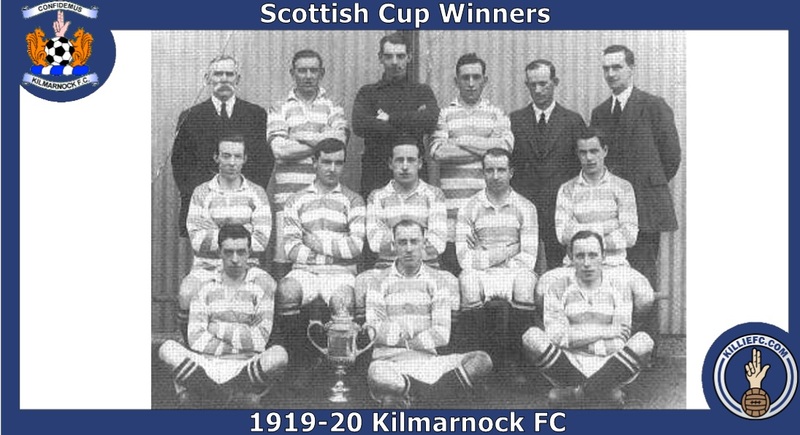 1898 Killie are Scottish Cup runners up, and are Scottish second Division champions. 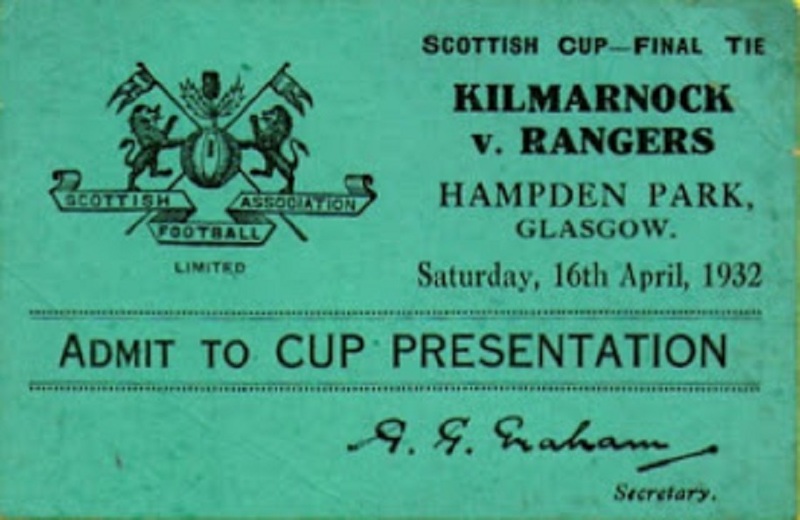 There was no automatic promotion back in those days, and Killie failed to win promotion, as they were not voted "up". 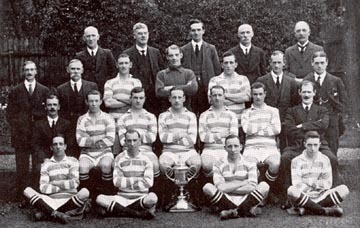 See the league winners medal pictured left. 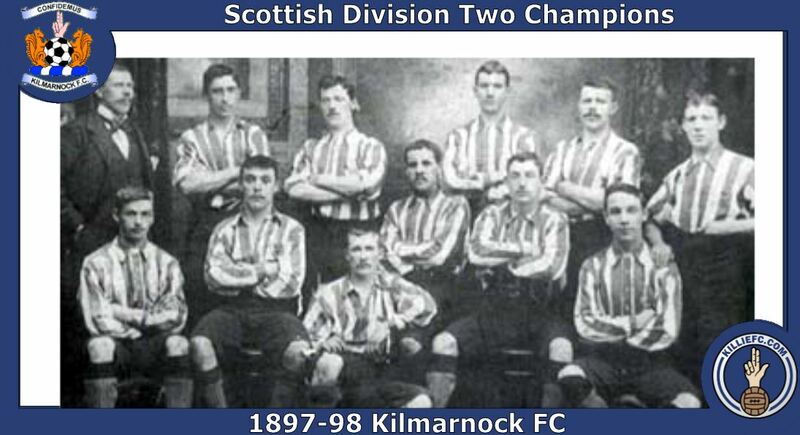 1899 Killie are again the Scottish second Division champions, and are "voted" into the first division. 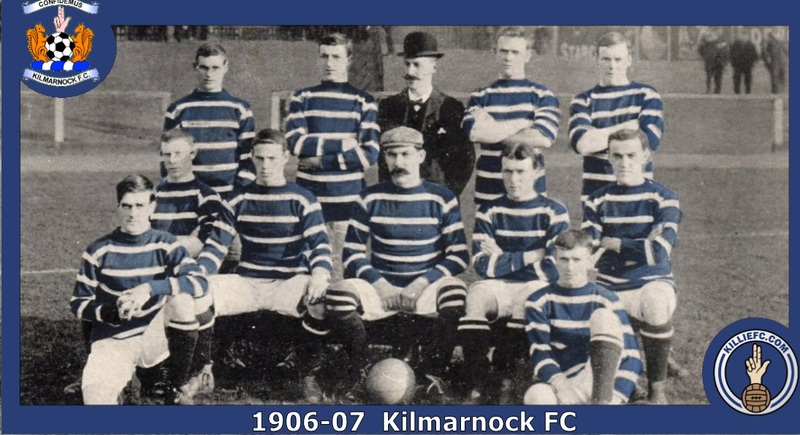 Killie move into Rugby Park ! 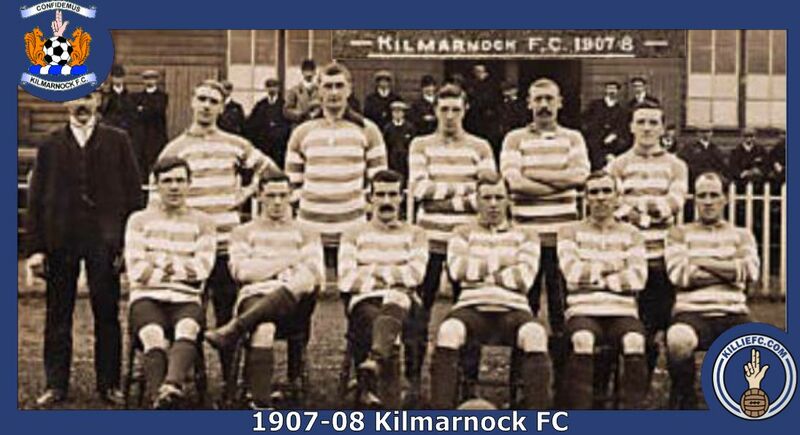 1906 Kilmarnock F C become a Limited Company. 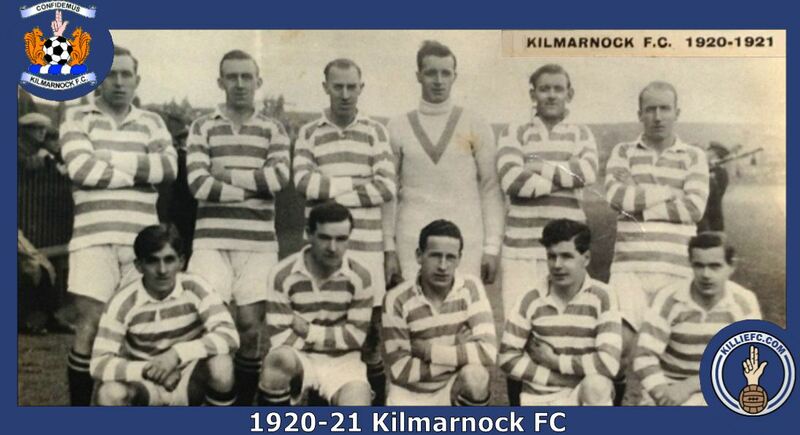 1917 October 13th, Killie go top of the table for the first time in their history with a 3-2 win over Celtic in Glasgow. 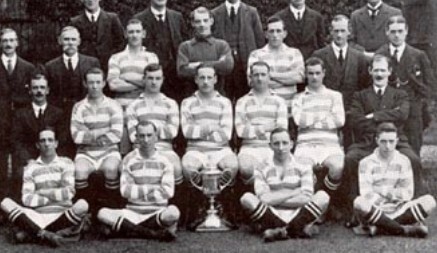 This was Celtic's first home loss in seventy games. 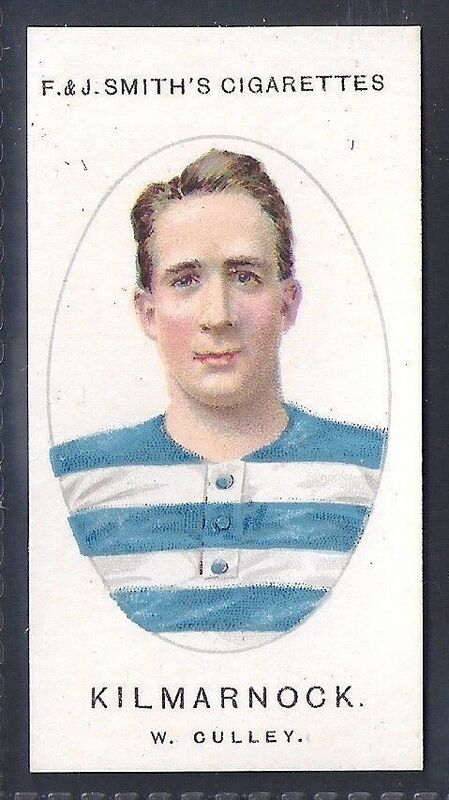 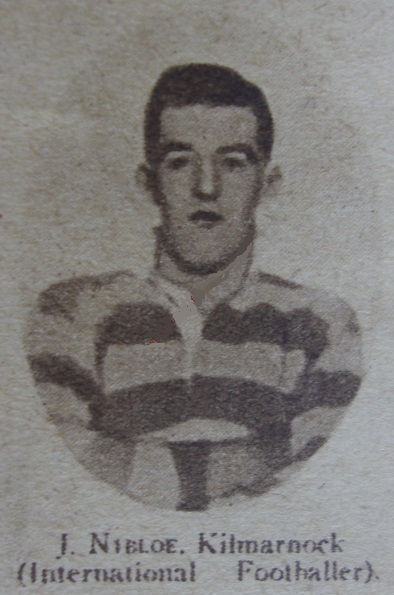 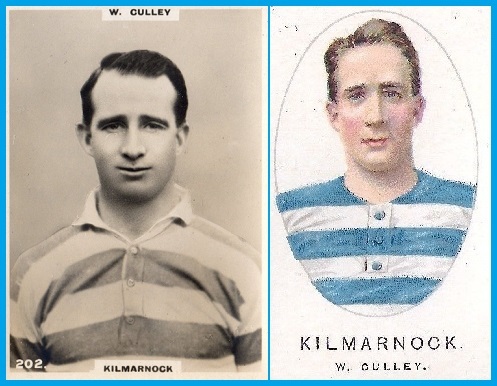 1923 Willie Culley (pictured above) plays his last games for Killie , he finishes his career with 159 goals in 317 appearances. 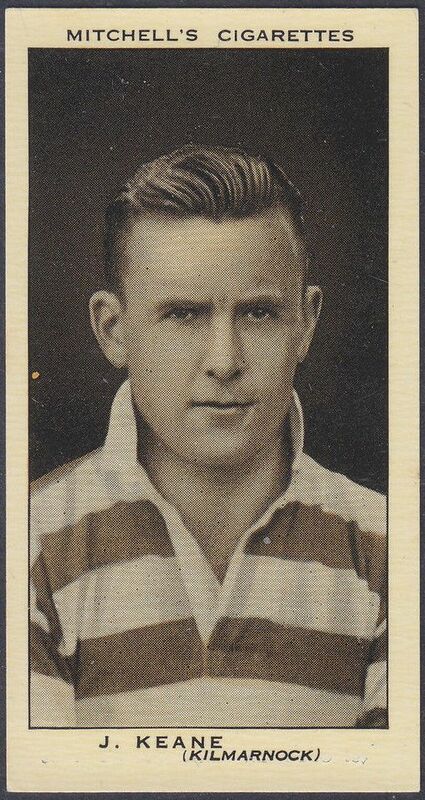 He remains to this day as Killie's all time goal scorer. 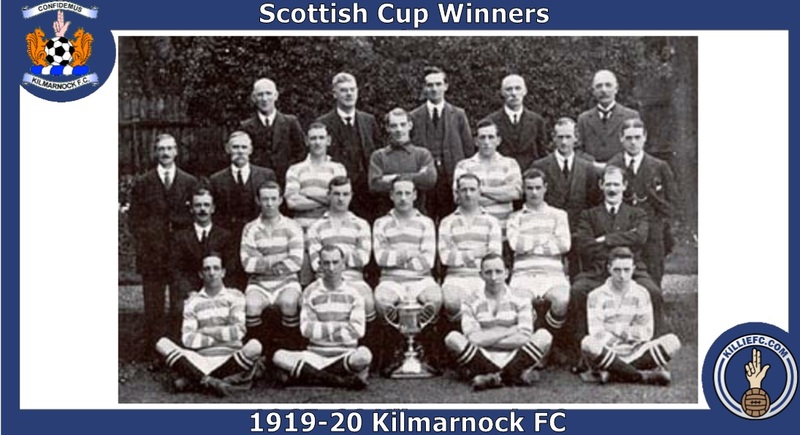 1929 April 6th, Kilmarnock defeat Rangers 2-0, to win the Scottish Cup for the second time, at Hampden front of 114,708 fans. 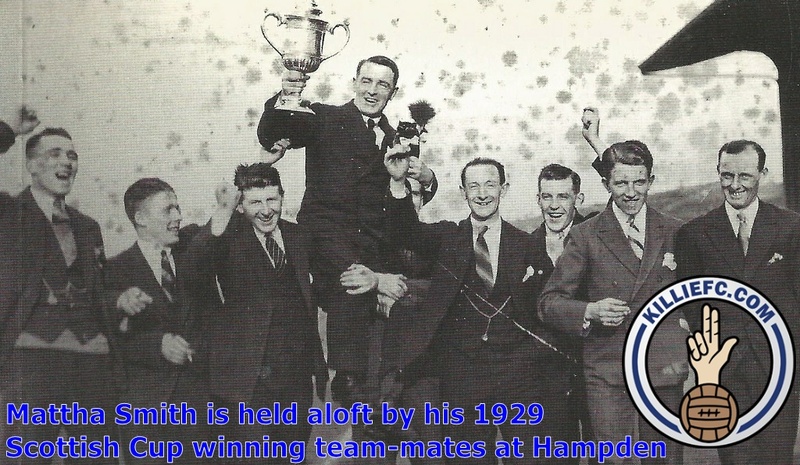 It will be 68 years before Killie lift the cup again at the end of the 1996-97 season. 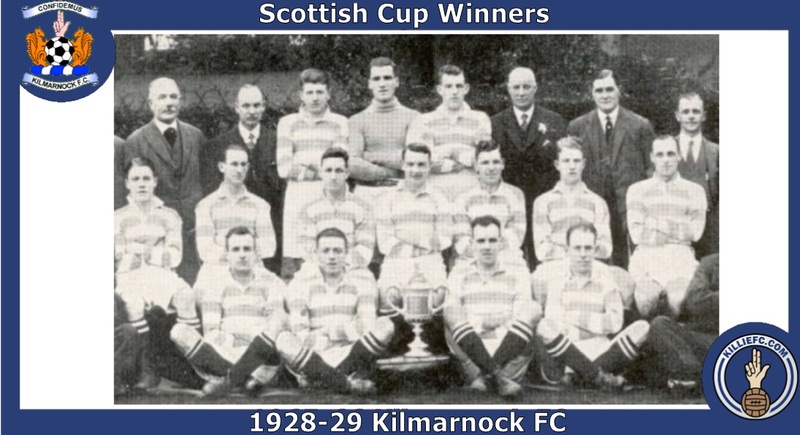 1932 Killie are Scottish Cup runners up. 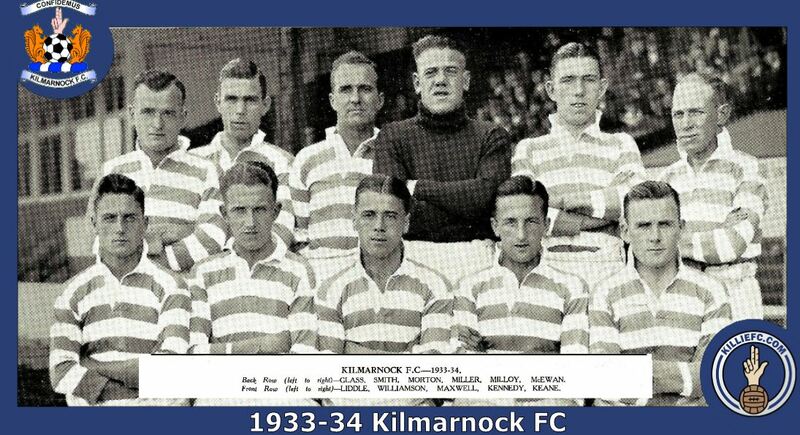 1937 Killie replace manager Hugh Spence with former Celtic great Jimmy McGrory. 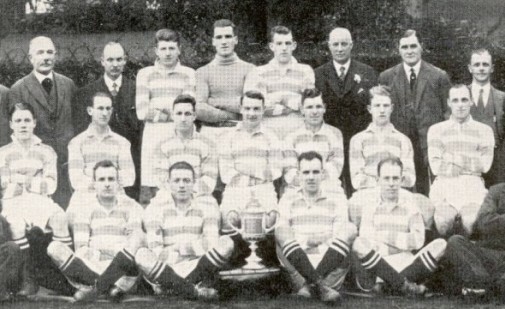 1939-45 2nd World War. 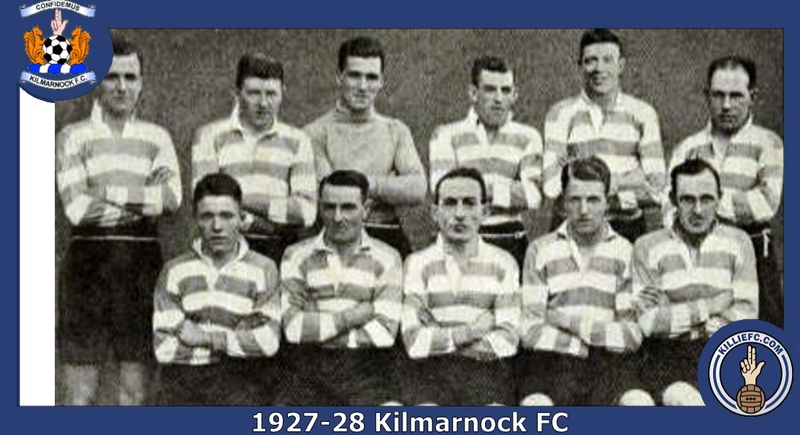 Thomson (above & left) is the only Killie player "lost" during the war. 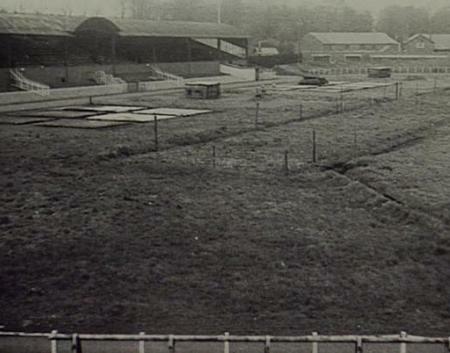 Rugby Park is used as a munitions dump by the Army during the war, and was rebuilt by the army after the war. 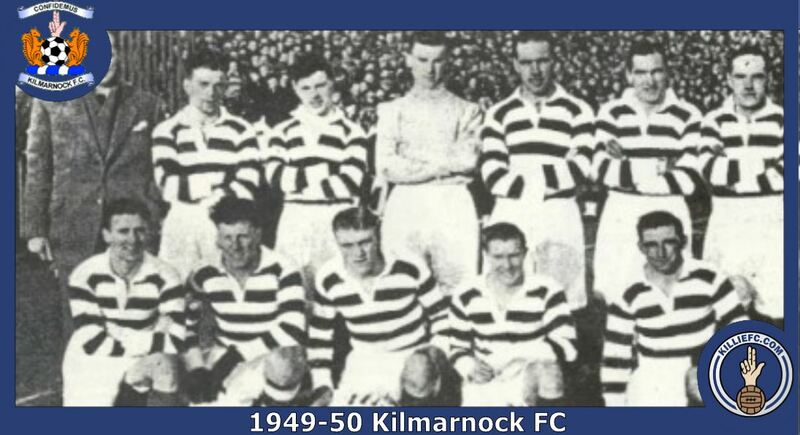 1945 Killie name Tommy Smith to managed Killie, (as McGrory went to Parkhead to become Celtic manager.) 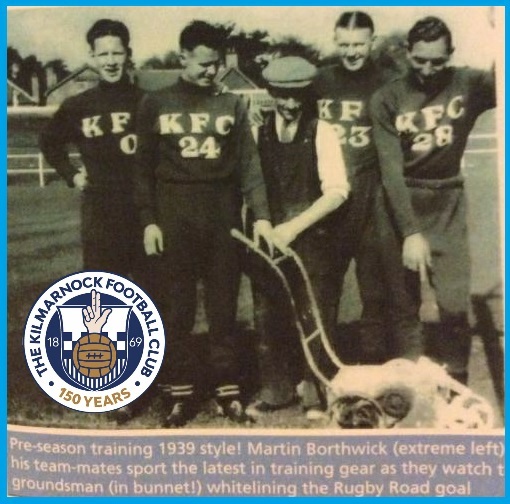 He is manager from 1945-47, and resigned due to ill-health, and also the pressure of building a team from scratch after WW II. 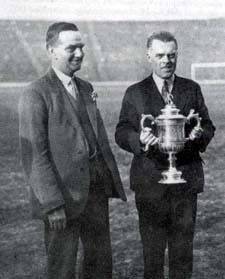 1947 Kilmarnock relegated to the second division, and Tom Mather (right) is named manager 1947- 48. 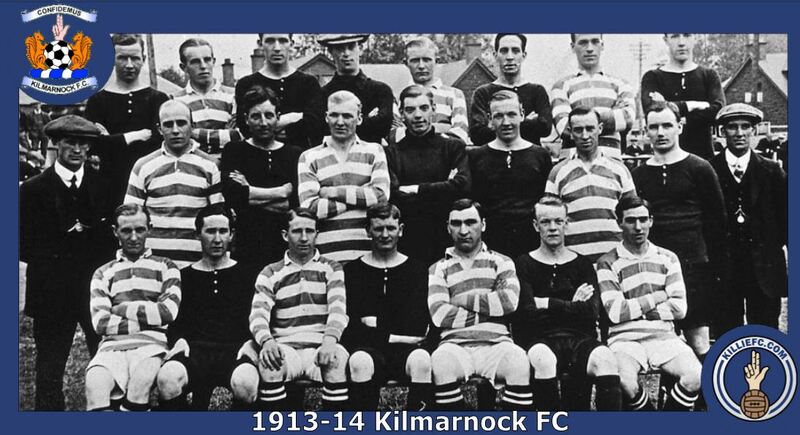 Tom made little impact with Killie. 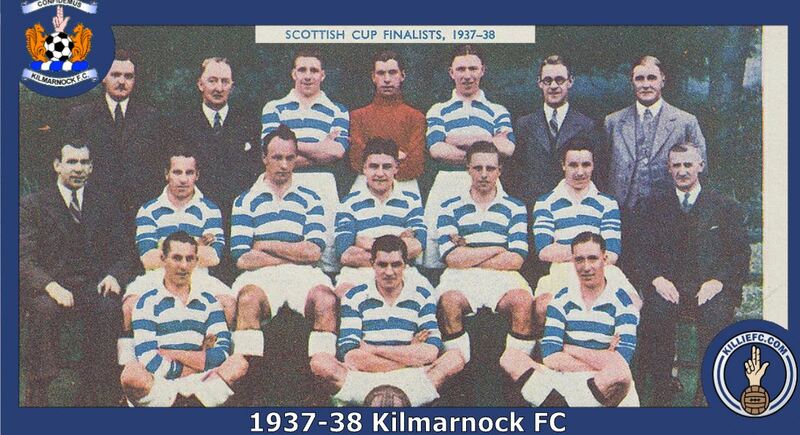 Killie finish the decade of the 40's as proud club floundering in post-war Scotland, in the middle half of the "B" division. 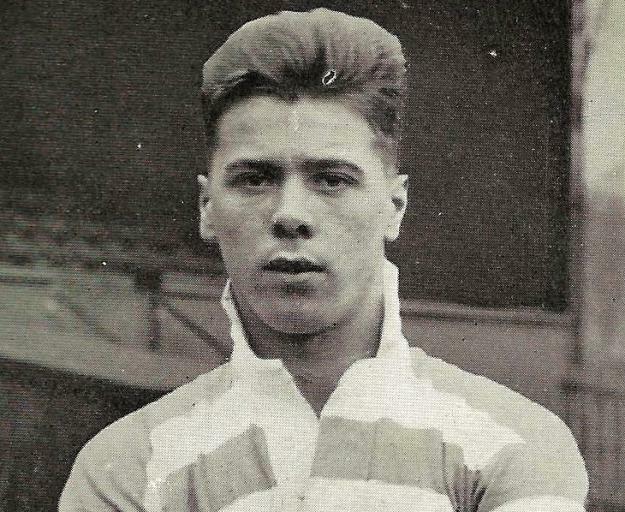 Not to worry here comes the 50's!